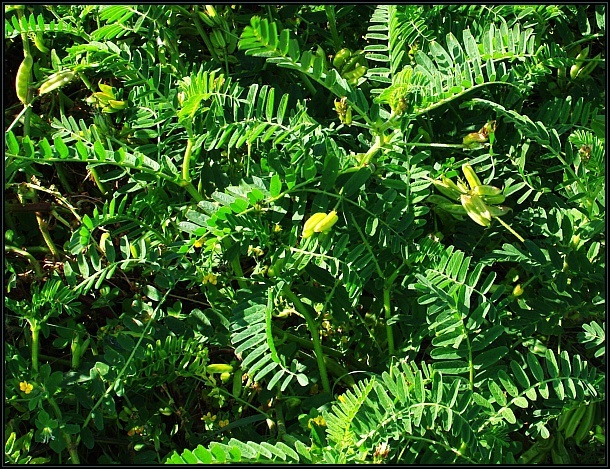 Astragalus boeticus is a common annual herb in the Maltese Islands. 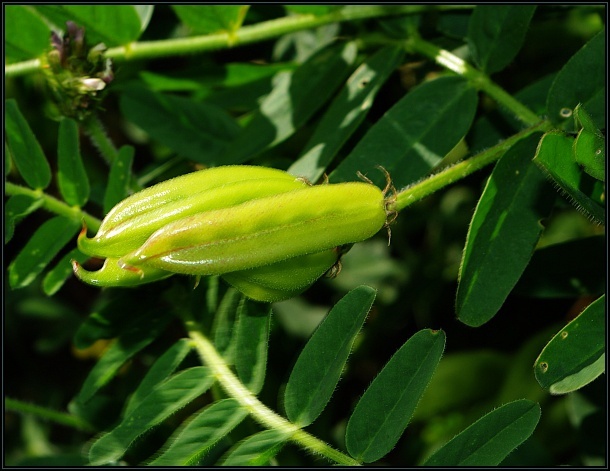 It has yellow to pale yellow flowers and is easily distinguished from other similar species by the triangular seedpod. 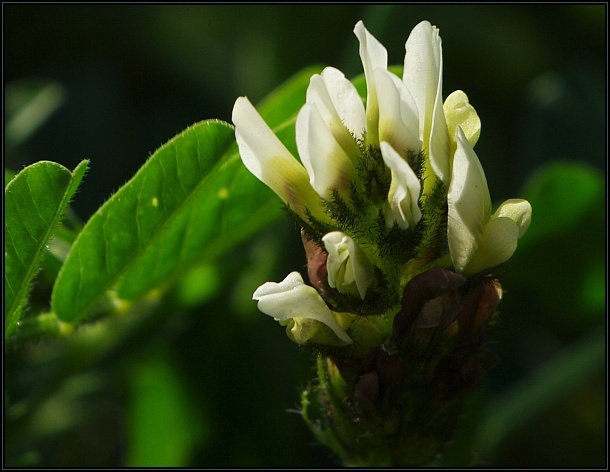 It grows in garigue and flowers in spring, with seed pods appearing soon after.